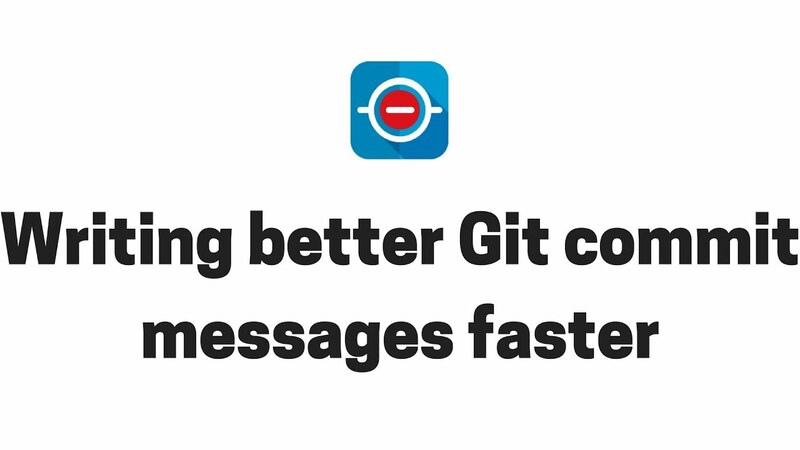 This page is about implementing Better Commit Policy with the Git version control system. For non-Git-specific information, please see the starting page of the user manual. The distributed nature of Git allows you to select between multiple workflows. Accordingly, you also have some flexibility in choosing where to install the hook scripts. Installing the hook scripts to these additional repositories will make your policies more efficient, as they are verified earlier in the process. The sooner a commit gets rejected, the cheaper to fix it. Note: the earliest (thus best) opportunity to validate a commit policy is in the developer's local clone repositories, using so-called client-side hooks. Local (client-side) hook scripts make verification of changes possible at commit time, or more precisely, before commit time! They essentially do the same job that their server-side counterparts do at "push time", but they do it right on the developer's machine at "commit time". The idea is that if an invalid commit is rejected before that is actually made, then there is no need to fix commits ever! This eliminates the efforts required to fix rejected commits, and makes your team faster and more productive. If your developers find it frustrating that their pushes are rejected, using local verification will drastically improve their experience. How does it work? When a set of files is being committed and commit message is entered, the locally installed hook script contacts the Jira server to verify the commit against the configured policy. If the verification fails, a rejection message is shown and the commit gets aborted; if if succeeds, the commit passes silently. Please note that Better Commit Policy is the only commit verifier app for Jira that enables local verification and allows working fast while enforcing a policy. To install a client-side hook, go to Commits (in the top) → Commit Policies → click Apply to a repository at the policy, then choose the "commits are verified in my local repository (clone)" option in the Hook Script Wizard and follow the installation steps. This is a self-service procedure, that we made as fast and as painless as possible. Local verification do not replace server-side verifications, obviously. Server-side verification should be in place to implement the ultimate policy checking mechanism, and local verification should be used to save headache and to move faster. If you are using server-side hooks only, you can create multiple commits without pushing those to the blessed repository. In this case, the verification of the commit policy is delayed until the moment when you actually push your changes to the blessed repository. When it finally happens, all commits will be verified in one go and all will be rejected if there is at least one commit that violates the policy. You should then fix the problematic commit and push your changes again. In the following sections we will explain how to fix various types of problems. This is important to understand that if you also use local hooks, you will not be able to create commits that violate the policy. If you tried to create one, that would be immediately rejected. Therefore, there is no need to fix anything, you should re-create the commit, this time correctly. We definitely suggest using local hooks as those enable you work faster. git commit --amend -m "PLYR-419 fixed: close the video outstream"
You can also use the --amend option to modify the list of files in the commit. Just use git add and git rm to modify the index, then make a git commit --amend to re-commit the changes. When using a Git GUI client, just commit again with selecting the "Amend" option. It will allow you to modify the previously made commit, and enter the correct commit message or select the correct file list. If you need to modify a commit that was made prior to the very last one, you will need to use interactive rebasing. It takes a couple of smaller steps, please read the related tutorial in official Git book. When the editor opens, select the "r" (reword) command to edit the commit message. 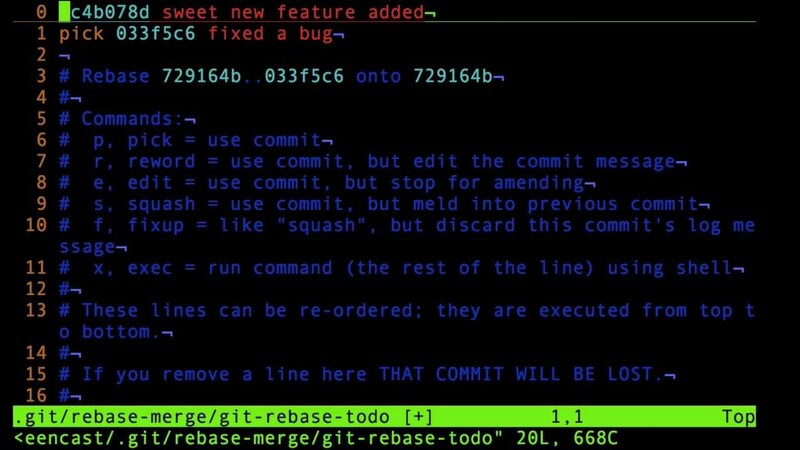 Interactive rebasing is a super-powerful command: in addition to rewriting commit messages, it also allows you to reorder, squash or split commits. We strongly suggest to read the interactive rebasing tutorial, if a clear Git history is important to you (it should be). TortoiseGit is a popular Windows shell interface for Git. It is fully supported by Better Commit Policy. If you want to fix the last commit, simply open the Commit dialog and tick the Amend Last Commit checkbox right below the commit message box. Right click in your working directory and choose TortoiseGit → Show log from the context menu. From the commit list, find the latest commit that you do not want to include in the rebase process. Right click on that commit and choose Rebase <branchname> onto this. Click the Rebase button and after everything is done, click Commit. Git branches are supported since app version 3.0.0, while pre-3.0.0 app versions silently ignore branches. Branches are verified by the branch rules when being pushed to the repository which has the hook script installed. It is important to understand that branch conditions will verify both the branches themselves at creation and the commits on those branches any time later. For example, if you create branch with a disallowed name, then both the branch and all commits on that branch will be rejected. To resolve the situation, fix the branch name, no need to touch the commits, and push the result again. Note that it is perfectly safe to rename branches locally. Git tags (both lightweight and annotated tags) are supported since app version 3.0.0, while pre-3.0.0 app versions silently ignore tags. Tags are verified by the tag rules when being pushed to the repository which has the hook script installed. Note that it is perfectly safe to rename tags locally. Git merges are fully supported by Better Commit Policy. When merging, the commits originally created on the source branch will appear also on the target branch. Depending on the accept existing commits without verification option, those will or will not be verified again. If there is no divergent work to merge, i.e. if it was a so-called "fast-forward merge", then that's it. If there is actual work to merge, then an additional merge commit will be created. Depending on the accept merge commits without verification option, this will or will not be verified. Git rebasing is fully supported by Better Commit Policy. The same rules apply as to Git merges, so please see that section. When cherry-picking changes, new commits will be created on the target branch. Git cherry-picking is fully supported by Better Commit Policy, with one important remark. Server-side hooks: cherry-picked commits will be verified the same way as any other "regular" commits. Client-side (local) hooks: cherry-picked commits will not be verified. This is due to a technical limitation in Git: Git will not trigger "pre-commit" hooks when cherry-picking. The hook scripts that are auto-generated by Better Commit Policy can be easily installed into Git repositories, and the app guides you through the process. Nevertheless, if you wanted to understand what happens under the hood, see the Customizing Git - Git Hooks chapter from the Pro Git book. When you use Better Commit Policy to enforce issue keys in the commit messages, you should also try the Git Integration Plugin for Jira. That app will display the commits mentioning a specific issue key in the View Issue screen, giving you a nice history of Git commits related to that issue. They really play together really nicely: Better Commit Policy encourages a good practice, and then the result is made visible by Git Integration Plugin.